There isn’t anything quite like relaxing in your swimming pool in the peak of summer. The only down side? You have to wait for it to be warm enough to use. But what are you supposed to do until then? Your options are pretty limited when it comes to warming up your pool until the outside temperature starts to go up and it gets to that perfect 85º and is finally warm enough to take a dip. What if you could swim all year long? Swimspas not only give you the ability to choose the perfect temperature for swimming or relaxing but they also offer a great backyard addition. 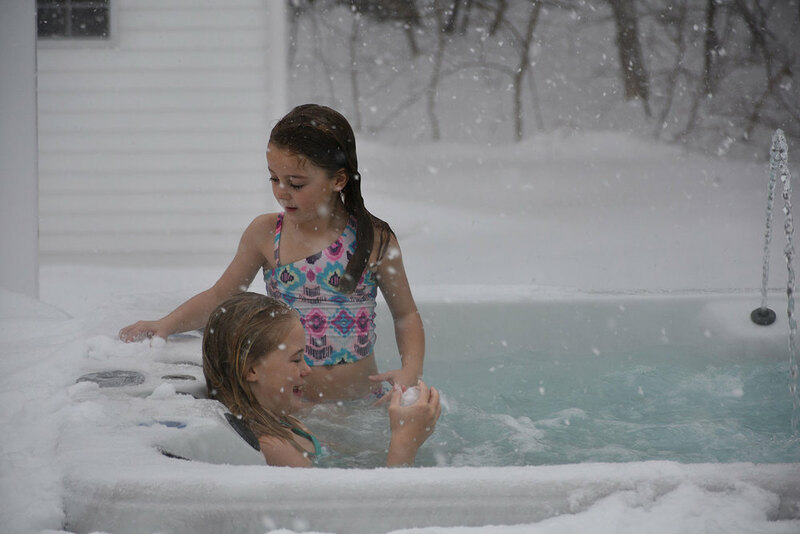 Take a dip this winter, spring, summer and fall and see why people are bringing swimspas home! Another obvious benefit to year round swimming is spending time with your loved ones. What could be better than having a central location you can use for entertaining no matter how unpredictable the weather is! Take back your backyard room this season and experience all the benefits a swimspa has to offer!